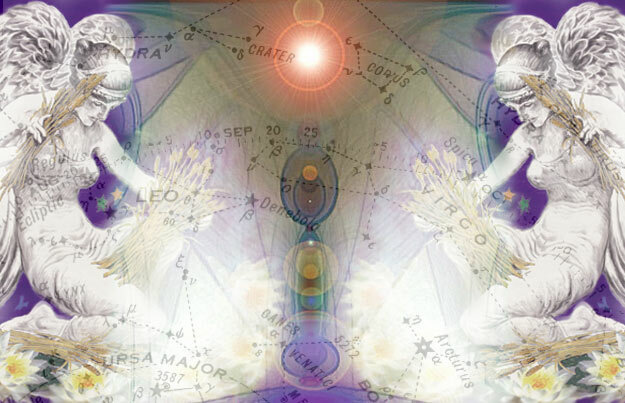 Together with Light Workers all over the planet, we have envisioned a Grid of Light all over the Earth that connects the Light of every Lightworker to each other, through sacred energy vortexes. We see this Grid as the sacred Chalice, receptive vessel into which the Group Soul is imbued with Light and Inspiration, thereby infusing each Lightworker as well. In meditation, we as Lightworkers throughout our World rise and unite, forming the meditative Chalice of receptivity. As we integrate ourselves into the Grid, our minds are illumined. United in our intention, we are One. Since times immemorial the Chalice has been a symbol of Service. The gifts of Higher Forces are gathered in the Chalice and given from the Chalice. The symbol of the Chalice has always stood for self-sacrifice. Whoever bears the Chalice bears Achievement. Each lofty deed can be marked by the symbol of the Chalice. Everything most lofty, everything for the good of humanity, should bear this symbol. The Chalice of the Grail, and the Chalice of the Heart which has dedicated itself to the Greater Service, is a most Cosmic Magnet. The Heart of the Cosmos is reflected in this great symbol. All images of Heroes of the Spirit may be represented as bearing the Chalice. The whole universe is reflected in the Chalice of the fiery spirit. The Chalice contains the accumulations of centuries which are gathered around the seed of the spirit.